Roku Airplay options are a big deal for those with IOS devices. The following article was previously submitted by an insightful reader and streaming enthusiast and has been restored. If you wish to submit your own streaming experience please feel free to write us via our email contact form on the contact page. I have an Apple TV that I love, but my roommate loves it just as much and arriving home to find it snitched more often than naught got old quickly. And since I wasn’t heavily invested into iTunes, and I also liked the idea of having a native Amazon Instant app, I decided to get a Roku 3 after reading glowing reviews. But man…that AirPlay. I missed it. Sure, I mostly enjoyed the seemingly never-ending number of channels (Does every church in America need a Roku channel?). And there is that nice Amazon Instant right there, and the headphone feature is REALLY useful in a roommate sorta situation. Still the endless number of web videos called and so the hunt began for a way to “cast” from my iPad to the Roku. Unfortunately for a long time, it seemed like without a computer, (I replaced with an iPad Air 2) to run Plex or PlayOn or some sort of media server I was out of luck… Until now. 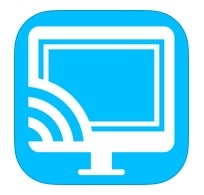 Can I mirror my iPhone on my Roku? The technology gods have smiled on those with similar wishes and I. 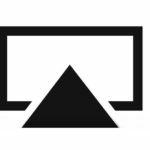 In the past few months I’ve discovered one older App that quietly took the place of Twonky Beam and two very new apps that offer solutions for “AirPlay-like” features on a Roku. Actually, they “cast” rather than act like an AirPlay stream, but all the better! None of these apps will fully act like AirPlay. For instance, you can’t stream from other Apps, but still, my Roku just became a lot more functional. Belkin Media Play is the Twonky Beam heir and there is a lot to like about it. Perhaps foremost is that it’s free, with zero in-app purchases, making it fully functional with no expenditures, and works in conjunction with the (also free) Twonky channel. The MediaPlay app hasn’t been updated in quite some time and has a message on the front page of the app about the “anticipated” release of iOS 7 and the lack of support, but depending on your use scenario, it might not be an issue. It wasn’t for me, but while I put it through a few of its paces, I certainly didn’t try every scenario. 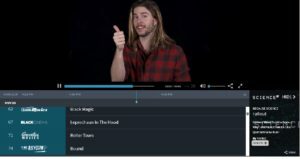 It allows for streaming photos and stored video, has a selection of video sites (Vimeo, College Humor, CBS, etc) to stream from on the front page as well as having an in-app web browser. 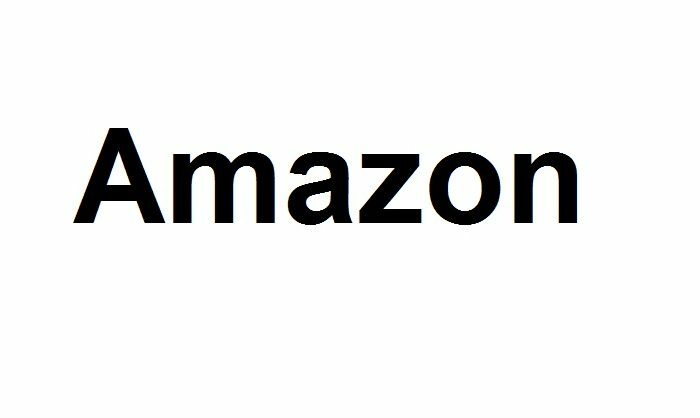 It will save passwords from sites you visit (helpful), And you can also queue up videos for a long binge session, although after a few videos it seems to lose its way in my experience. It will also allow for slideshows and downloaded media, although I personally didn’t try the download feature. 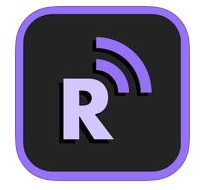 I found R-Cast to be the most basic of the three. It has a companion channel for the Roku and is free with a 2.99 in-app purchase for videos over 20 minutes. This allows you enough time to check your favorite video sites to see if they are compatible which is helpful because R-Cast supports the least amount of formats, notably no HTTPS or live streams. It works ok for basic video casting but is my least favorite and the most expensive of the three. 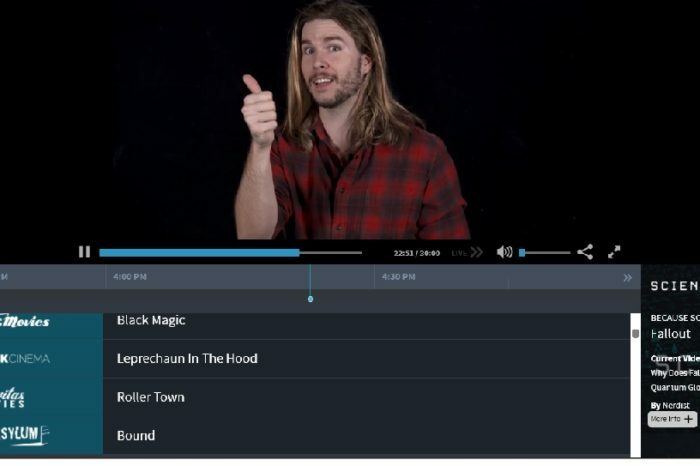 Video & TV Cast is fully functional for free and offers a $4.99 in-app upgrade to add more options, (things like ad blocking, desktop, and local video streaming). I recommend splurging on the full package. This app functions a bit differently as there is no corresponding Roku channel. Just find your video through the browser and cast. It has been the most stable of the three, and I have found the desktop agent especially useful on a few sites. It also has functionality with Chromecast devices as well, kinda making this app a two-fer. It doesn’t have the Belkin Media Play’s nice binge multi-cast settings, but it hasn’t crashed on me once…something I can’t say about either of the others. 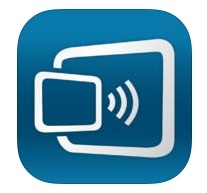 If you’re looking, I’d recommend getting the Belkin/Twonky app and channel. It’s free, so nothing to lose. But if you’re a heavy streamer, then spring for the 4.99 Video and TV Cast for Roku.